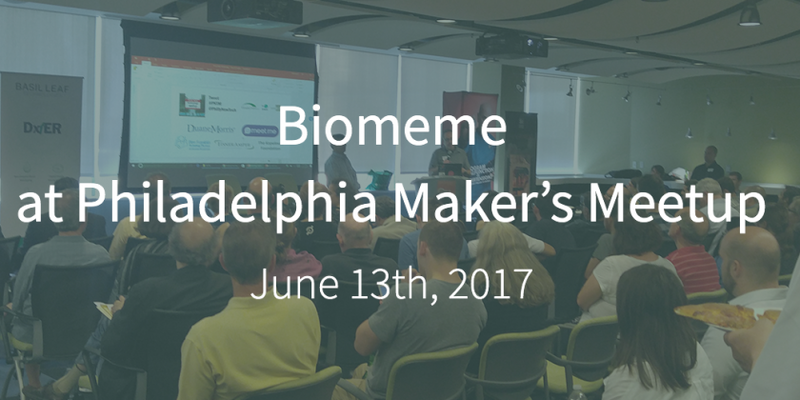 Biomeme presented our technology at the June Maker’s Meetup at the Science Center in Philadelphia. Dr. Basil M Harris, Chief Executive Officer and Chief Medical Officer of Basil Leaf Technologies, was the keynote presenter. Dr. Harris and his team developed the DxtER™, a consumer medical device that won the global $10 million Qualcomm Tricorder XPRIZE competition. We enjoyed meeting many of you in the Philadelphia Maker Community. Join the Makers Meetups page for continued updates about future showcases. We look forward to meeting many of you through these meetups!